Having your chimney cleaned by a professional chimney sweep is not something that happens every day, which means that not many people know what a chimney cleaning looks like. 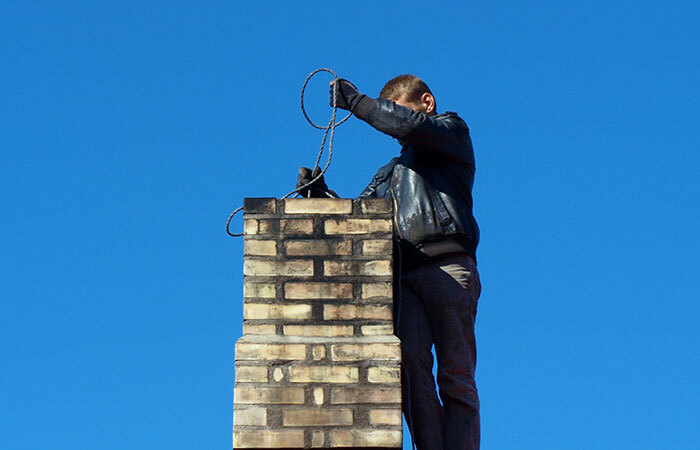 At 1st Choice Chimney, we are dedicated to making sure your chimney is fully cleaned, in a timely and efficient manner. This blog will touch on the ins and outs of a chimney cleaning, but call us today to learn more! It is recommended generally, depending on the size of your chimney and the amount of soot, that your chimney is swept every four years. Even though it’s a relatively infrequent need, it is still important. Making sure your chimney is clean can prevent you and your loved ones from harsh toxins that are released from soot build up over time. It can also prevent soot fires. Keep your family healthy and safe by having your chimney swept and inspected by a professional chimney sweep. Chimney sweeps are certified by the Chimney Safety Institute of America, the National Fireplace Institute, and different state chimney sweep organizations. 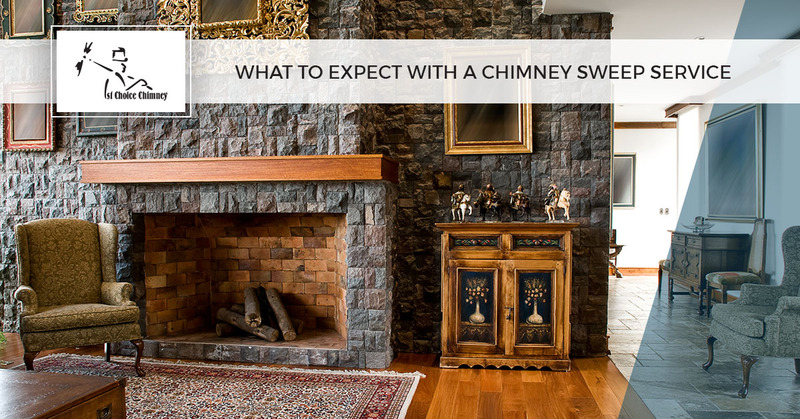 When you invest in chimney sweep services, especially from the experts at 1st Choice Chimney, you can rest assured that your sweep knows what they’re talking about. The chimney sweep appointment itself is painless and doesn’t take very much of your time. Generally, an appointment will take anywhere from 10 to 30 minutes. This is dependent on your preparation for the arrival of the chimney sweep, and how many questions you have about your chimney and its care. In order to prepare for your chimney inspection, make sure that the furniture closest to the fireplace is moved farther away from the fireplace or covered with a tarp or a towel. It is also advised to make a ladder, the soot hatch, or sweeping hatch easily accessible to the chimney sweep. Your sweep will first survey your fireplace and chimney before getting to work to determine what they have to do to properly clean your chimney. They will also put a drop cloth on the floor in front of the fireplace to protect the floor from potential dust and soot. The actual chimney sweeping can either be performed from the roof, or from below through the fireplace. Done correctly, all of the dust, soot, and creosote will be contained and none should escape into the home. Your chimney sweep should utilize a professional vacuum to help with this. When the job is done, you should see no traces of soot or ash, or signs that someone worked on and in your chimney. The chimney sweep will tell you the condition of your chimney so that you are aware of any hazards, as well as how frequently to have your chimney inspected and cleaned. This is also a great time to ask any lingering questions you may have. Having your chimney inspected and swept improves the quality of air in your home, keeps your family and loved ones safe from toxins and reduces your home’s risk of a fire significantly. At 1st Choice Chimney, we are dedicated to delivering timely, quality chimney sweep services to keep you safe, and take care of your home. Call us today to learn more! Our team looks forward to meeting you!